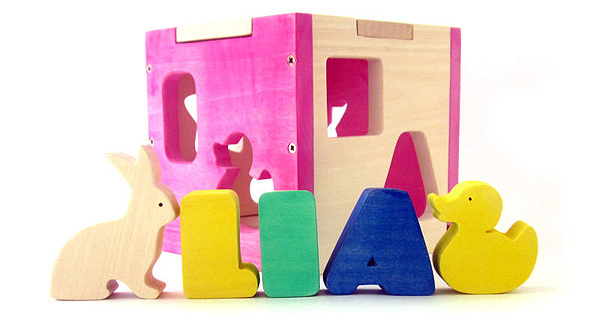 This is a really clever twist on a toy that has stood the test of time. 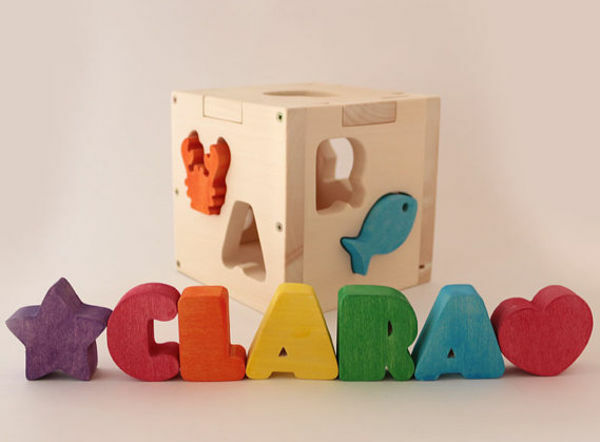 Not only can this shape sorter help your child’s coordination, it can also help teach them the letters in their name. 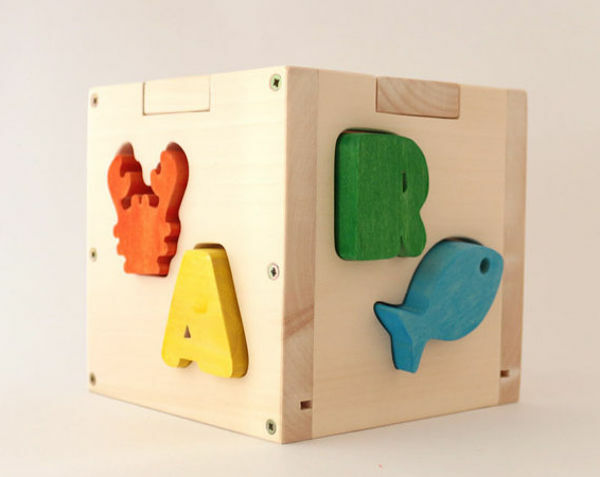 These beautiful personalised shape sorters from Name In A Wooden Box are handmade, and can sit happily as nursery décor until your baby is old enough to use it as a toy. The boxes, letters and shapes are hand sanded multiple times, before being coloured with safe acrylic paint. 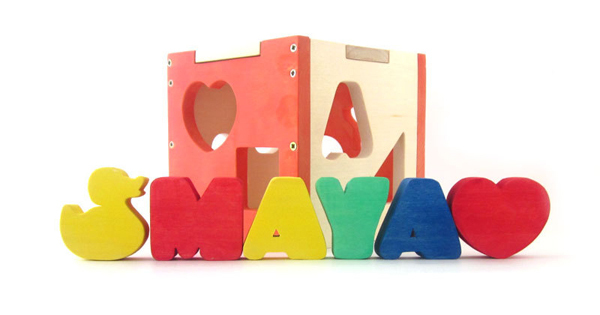 The boxes can come with up to nine cut-outs – that includes letters and shapes. Because each of the boxes is made to order, you can customise everything – including the colour of the shapes and letters. Due to each box being a custom project, they take a couple of weeks to make, and there’s also a bit of a lead in time to have them delivered to Australia. So if you’re keen to get your hands on one for a special occasion, you need to plan ahead. They cost around $70, and you can order directly from the Name In A Wooden Box Etsy store.